The biodiesel market is supported by federal mandates under the RFS2 program and California’s Low Carbon Fuel Standards (LCFS). 2017 the federal RFS2 mandate is 2.0 billion gallons for biodiesel and 4.0 billion gallons for advanced biofuels (which includes biodiesel). Theoretical role of biodiesel in meeting mandate could reach 6 million gallons in 2017. Biodiesel generates 1.5 RINs (renewable identification numbers) per gallon under RFS2. The RINs are currently valued at near $1.05 each and yield a per gallon value of $1.55. The California LCFS credits for corn oil biodiesel today are worth $0.82 per gallon compared to $0.49 per gallon for soy biodiesel. Glycerine is a co-product of biodiesel production and amounts to 1 million pounds per month at the Clinton Plant. 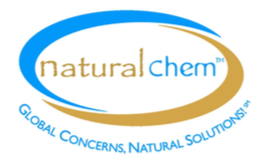 Natural Chem will refine its glycerine to 99.7% purity, food/pharma grade, USP glycerine with a consistent value near $0.60 per pound. The historical global market for refined glycerine is approximately 3 billion PPY of production. NCG’s glycerine has more that 2,000 existing applications across all industries including food, beverage, personal care and industrial chemicals. New applications of glycerine in the production of propylene glycol, epichlorohydrin and PLA (biodegradable plastics) are estimated to double demand for refined glycerine within the next five years. NCG will enter into supply chain agreements with leading commodity groups for the supply of raw materials (corn oil, methanol) needed by Natural Chem to produce biodiesel and glycerine. Refiners and major jobbers are the typical buyers of the biodiesel. These market participants assure NCG of a raw material supply and strong demand for its primary outputs. A strength of Natural Chem’s program is that its glycerine plant can run profitably on crude glycerine purchases in the open market, in the event of a shutdown of its biodiesel plant due to fuel price volatility. Please include volume and shipping requirement and details.